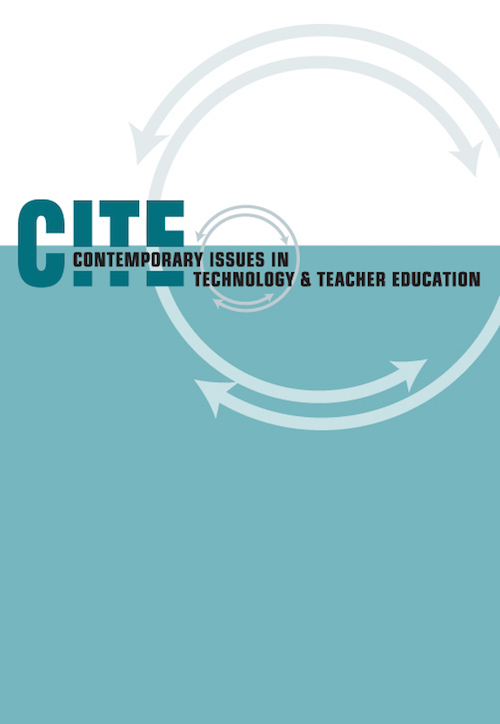 The CITE Journal is an online, open-access, peer-reviewed journal, established and jointly sponsored by five professional associations (AMTE, ASTE, NCSS-CUFA, CEE, and SITE). This is the only joint venture of this kind in the field of teacher education.The journal’s online medium also allows authors to demonstrate the technologies about which they are writing, including video and audio segments, animation, virtual reality, Web links, and simulations. Indexing: Although all issues of the journal are available free of charge on the Internet, it is indexed by H.W. Wilson Education Full Text (since 2005, volume 5), EBSCO (since 2006, volume 6), ERIC, and LearnTechLib: The Learning and Technology Library (all volumes).